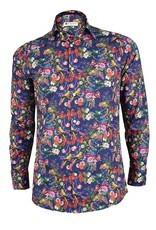 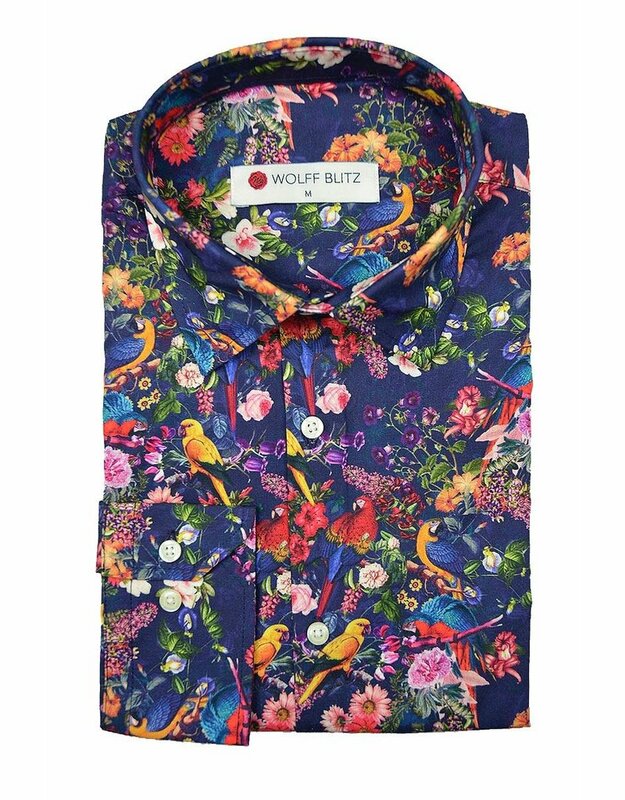 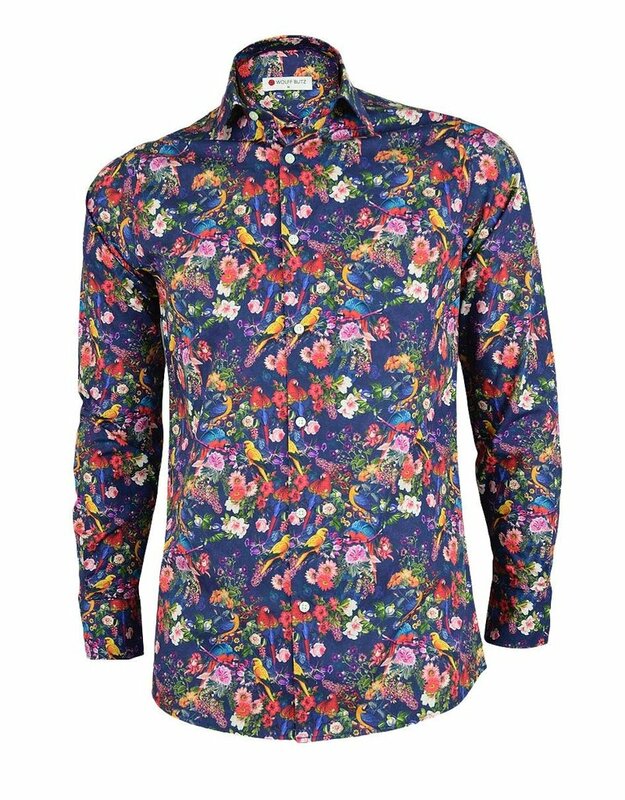 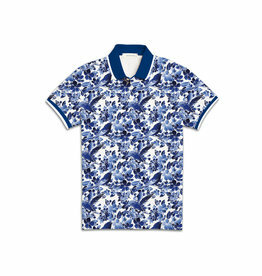 Colorful flowers and beautiful parrots are featured on this shirt from the Wolff Blitz collection. 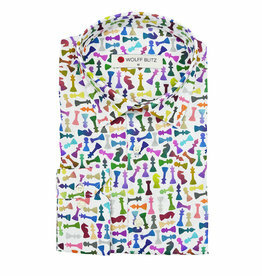 The high quality cotton is certain to feel soft and comfortable on your skin. 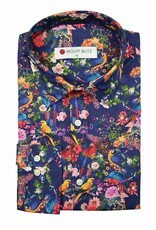 – Modern fit (true to size).